Compliance with laws and regulations pertaining to the quality, safety and performance requirements in all countries in which Schleifring Medical Systems products and services are offered. This will be achieved through documented and reviewed quality objectives, shared quality culture, commitment to performance, and unyielding integrity. Schleifring Medical Systems Managing Director has the ultimate responsibility and authority for the application of this policy. 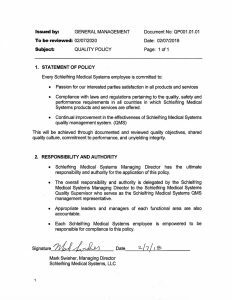 The overall responsibility and authority is delegated by the Schleifring Medical Systems Managing Director to the Schleifring Medical Systems Quality Manager who serves as the Schleifring Medical Systems QMS management representative. Appropriate leaders and managers of each functional area are also accountable. 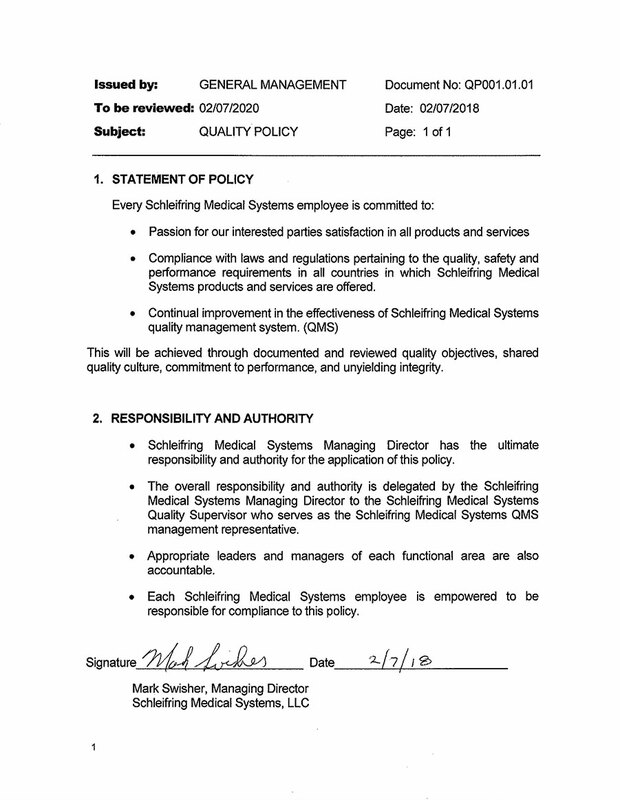 Each Schleifring Medical Systems employee is empowered to be responsible for compliance to this policy.